Air Systems Texas Specializes in planning, designing and installing new HVAC for commercial construction projects. We have the manpower and the expertise to get the job done. We work with your architects and engineers throught the planning stage of your project to provide you with insight into your project that could present substantial savings and efficiency for both your client and your business. We take your plan and help you design the most efficient and effective HVAC system at the best price. Then we take your plan and design and build the finished HVAC System on your construction time-line. We are experienced with working with site foremen and general contractors and know how to get our part done so that we can get out of the way and let your other contractors do their jobs. From the smallest server room, larger office to indoor soccer arenas we can design and install air conditioning and heating systems to meet the budget and energy efficiency needs of your business. We work with general contractors and business owners in the design and installation process. We are familiar with the permiting and inspection process and ensure your project is on time and on budget. 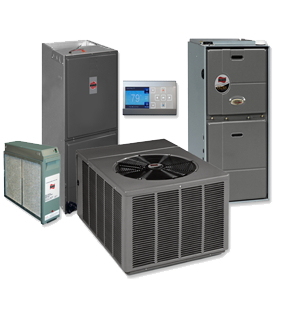 Air Systems Texas is an expert at designing HVAC systems for commercial and residential build outs. We can work with your architect and engineers to scope and design the most efficient HVAC designs in our industry. We are detailed and include the most current specifications in our designs that are up to code and ready for final construction. After you have planned and designed your HVAC system you will need a qualified technician to install your design. We are highly qualified air conditioniing and heating technicians. We can help you impliment your HVAC plan. We use only the very best materials and stand behind our work with a quality guarantee. When you need a full service air conditioning and heating service, call on the experts at Air Systems Texas. Plan...Design...Build. Air Systems Texas Always Ready! We are standing by now…Give Us A Call or Email Us! Why Choose Air Systems Texas? We tell you this so that you will understand we work at a higher level of accountability.